Looking into the history of our great city of Cardiff, there are a few areas that are long gone, their communities dispersed. One of those areas is Newtown, or “Little Ireland”, an area that sprung up in the early 1830s, but was demolished in the 1970s. One of the things you may have heard about Newtown is that it was the location of Cardiff’s first race riot: a dubious claim to fame. Race riots aside, Newtown was the much beloved home of a close-knit community of mostly Irish immigrants. Here, we’ll explore some more of the history of the area. 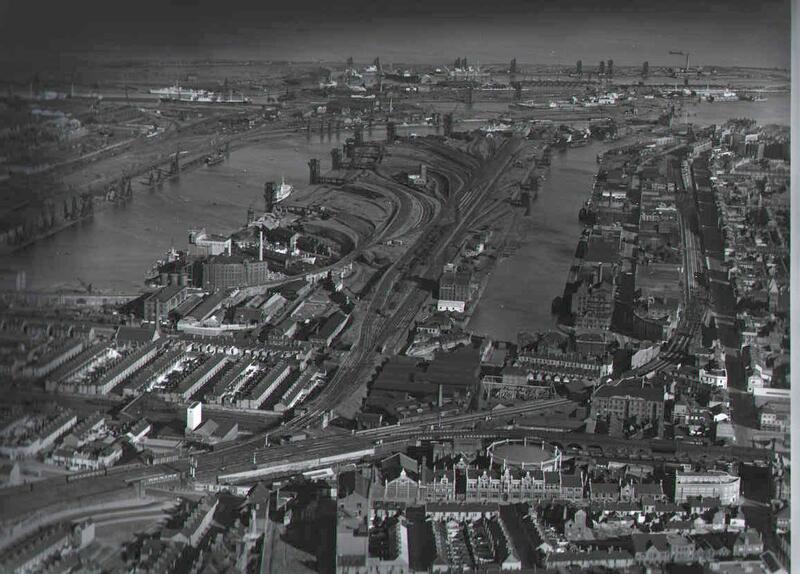 In terms of location, Newtown occupied a small area, situated roughly between Splott and the area that was then known (and still is, by locals) as the docks. Early maps show Adamsdown (to the west of Splott) being part of Newtown, but for locals, the Newtown they lived in was just six streets: Tyndall, Street, Pendoylan Street, Roland Street, North William Street, Ellen Street and Rosemary Street. Today, that area is part of Atlantic Wharf. 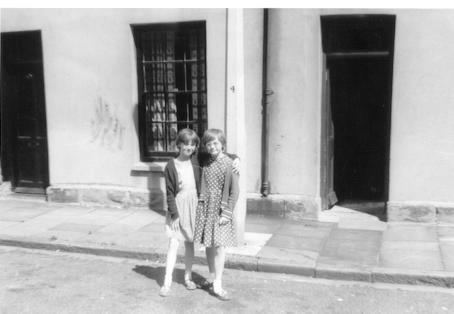 Mary Sullivan, Chair and Co-Founder of the Newtown Association, has written for us about Newtown before. This is Mary, photographed in the Newtown Memorial Garden. The Marquis of Bute (he was the Second Marquis, in case you’re counting – 1793-1848) was already the richest man in the world at this time, with thanks to Welsh coal. In 1846, the Marquis shipped over 10,000 starving Irish as “cheap, passive labour to build docks and railways, undercut Welsh wages and scab on strikes” (the hard words of Dic Mortimer). Regardless of the circumstances, after the Irish arrived in Cardiff (which had a population of 15,000 at that time), suddenly nearly 40 per cent of the town became Irish. There were other ‘Irish’ neighbourhoods of the city, but the Marquis settled many of them into purpose-built housing in an area that was close to the docks: thus, the Newtown community was born. Most of the men and some of the women initially worked on the the building of the docks. Once the docks were complete, the people of Newtown continued to work in or around the busy sea port of Cardiff. The men became dockers, steel workers, foundry or factory workers. 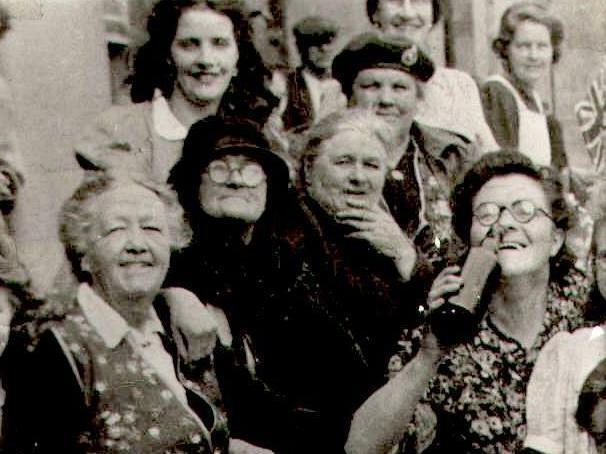 The women (the ones not at home looking after children) worked in some of the many other small manufacturing industries, like the Cigar Factory, or in local offices as shorthand typists and clerks, or in the retail industry as shop assistants. Newtown had everything you’d expect any neighbourhood to have: several corner shops, plus a few public houses. One you may have heard of was controversially removed from its location a few years back, to be moved, brick by brick, to St Fagan’s: the Vulcan. Another pub was the Duke of Edinburgh on Ellen Street, long since demolished and gone. 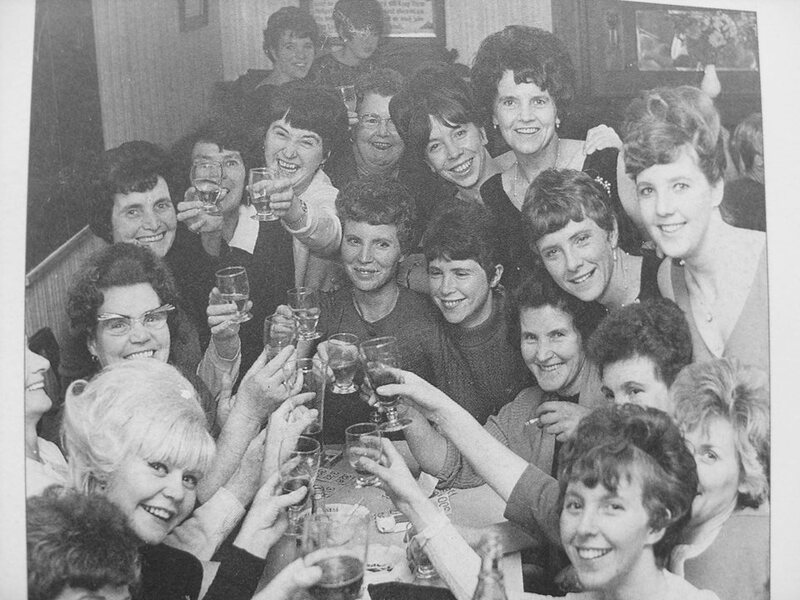 At the centre of this photo, you’ll see a Newtown legend (in the flat cap): the boxer ‘Peerless’ Jim Driscoll, who returned to Newtown after his boxing career was over, to run the Duke of Edinburgh pub with his wife Edie. 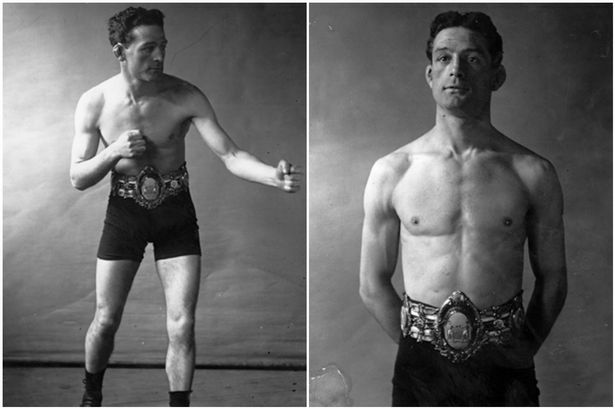 Driscoll was British featherweight champion and won the Lonsdale belt in 1910, is a member of the Welsh Sports Hall of Fame, the Ring Magazine Hall of Fame, and the International Boxing Hall of Fame. He was born and lived on Ellen Street in Newtown, and even at the height of his fame, remained firmly rooted in his home community. You can probably judge the extent of his fame by his funeral. He died of pneumonia in 1925 (aged 45), and in excess of 100,000 people lined the streets in Cardiff to see the funeral procession. There was a military-led procession through the main thoroughfares of the city, and businesses stopped trading temporarily as a mark of respect. At Newtown’s core was St. Paul’s Roman Catholic Church, built in the 1870s, with a school attached to it. The locals prayed together, had their baptisms, weddings and funerals there. 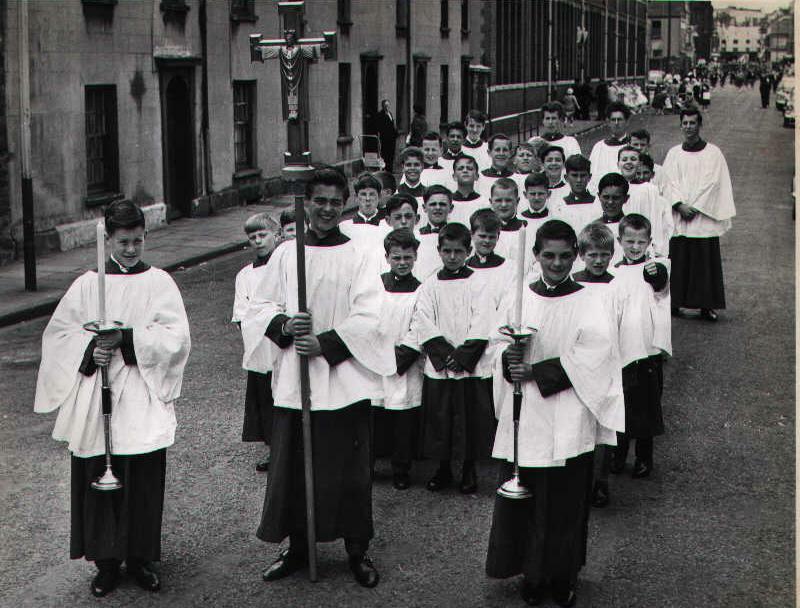 There were other churches, like the old All Saints Church, on the corner of Ellen Street and Tyndall Street. Although the conditions might have been poor, residents remember the streets being alive, with a sense of fun and carnival always in the air. 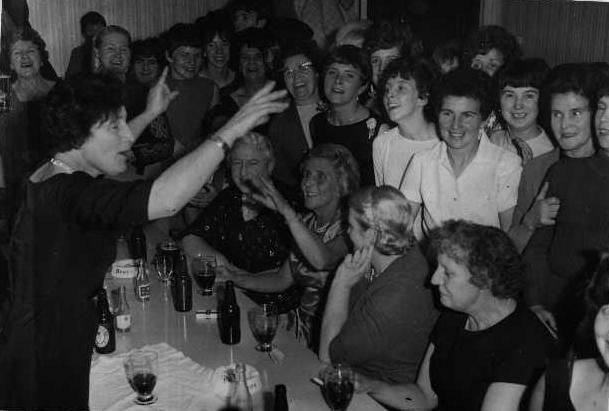 “I have memories of Hancock’s Draymen with their two big shire horses delivering beer to the Fitzy’s Pub at the top of our street, and of being woken up most mornings by Sammy the Milkman who yodelled as he cycled his way through the street to make his doorstep deliveries,” remembers Mary Sullivan. Despite this, as early as the 1930s, Newtown had been condemned as a slum, and the council planned to remove all the residents and replace the housing in the 1970s. Plans were brought forward after a young boy, Phillip Joliffe, aged 4, from North William Street drowned after falling from a bridge over the junction canal between the West and East docks. Most people living on the estate agreed the houses needed to be replaced, but they were divided on location: most of the older people wanted new buildings on the same site, but younger residents were keen to move to other estates in Cardiff. The Council chose the second option, and in 1966 everyone moved out and the buildings were taken down, disbanding the tight-knit community that had existed for 125 years. Dan O’Neill – columnist for the South Wales Echo – wrote an impassioned letter about the demolition of Newtown. “Today Newtown, ‘Little Ireland’, is as distant a part of our past as Troy except that there is nothing now left to remind us of that area seen in the minds of those who lived there as a sort of shining Shangri La,” he wrote. “Irish mythology speaks of an enchanted land, an Isle of the Blessed. That is how the people wrenched from their homes thought in exile of their beloved Newtown. Somewhat remarkably, the strong sense of community survived, and compelled ex-residents to form The Newtown Association. 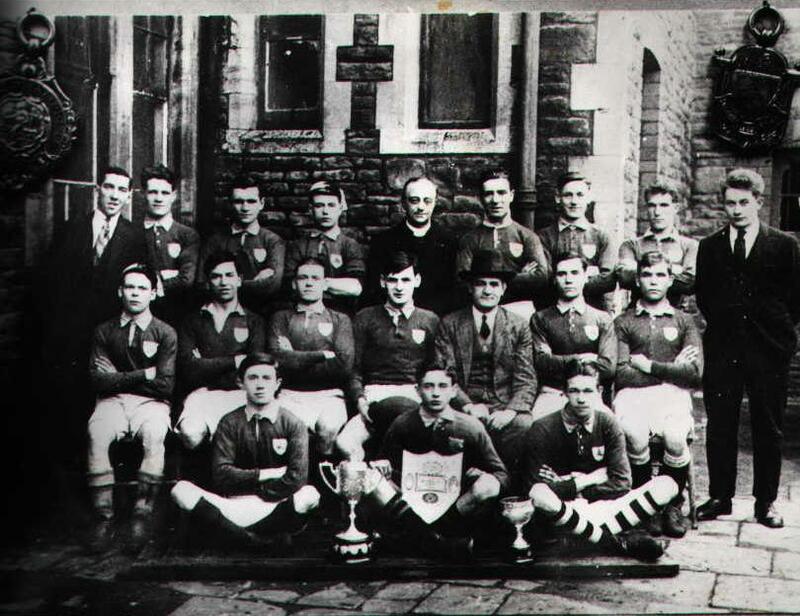 Their aim was to record the history of the Newtown community, to keep its memory alive, and to provide the people of Cardiff with a source of educational archive material about the Newtown community. 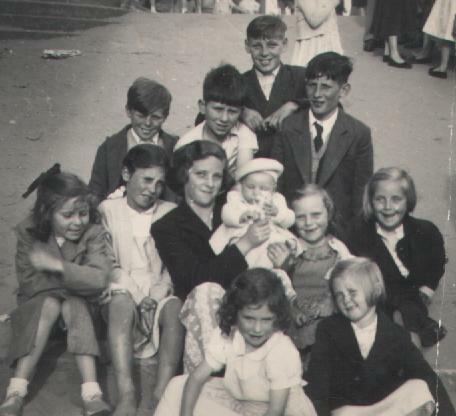 You can see the archives of this project on the Newtown Association’s website, where they are still encouraging former residents to share stories and photographs of their time there. So if you or your family were from the area, get in touch with them! In March 2004, the Association unveiled a permanent memorial to the significant part which the people of the community played in the development of Cardiff. Each year the Association celebrates St Patrick’s Day with a programme of events that includes a few minutes of quiet reflection at the memorial garden in Tyndall Street (just next to the Etap hotel). The pubs were named — Irish stye — as Fitiz’s, Foley’s etc. 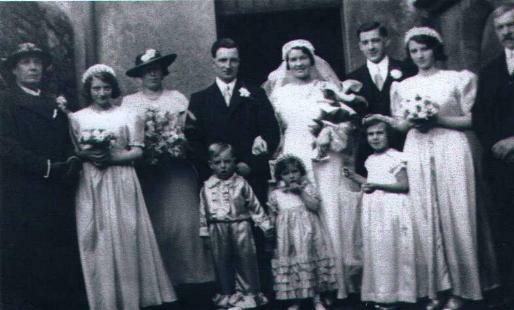 Lovely read , my mother who is Mary savage nee Milton is now 91,was born in Roland st , her brother Vincent 88,Rita her sister 90.all going strong.what great stories they all tell of this special place,lovely memories for me also.